Some users who have upgraded to iPhone OS 4.0 (iOS 4) have noted that the proximity sensor behaves differently, sometimes it’s just less sensitive, a bit slow or lagged, and other times it’s just not as responsive. In the worst case scenario, the iPhone is up to your ear and the device doesn’t detect that it is close, so your ear or face will actually tap on buttons on the screen and either mute the call or even hang it up! This is obviously a software problem and an official fix is expected soon, but for the time being we have a few options that help to remedy the situation. 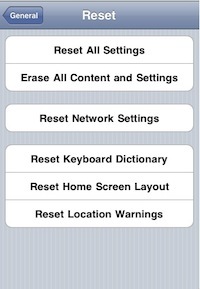 After both you should restart your iPhone. These are the solutions offered at the moment, as mentioned before there is expected to be a software update to resolve the proximity sensors sensitivity so that it will detect when it is near your ear. The iPhone 4 has been a huge hit for Apple, sales are through the roof as they struggle to maintain iPhone 4 availability with the huge demand for the device. That’s not to say their haven’t been some hiccups with the launch, users have reported some issues with the reception as well as the aforementioned proximity sensor issue. These problems will be sorted out soon with a fix from Apple. Where is the ambient light sensor on a MacBook Pro? was so tensed and thinking of how i would have to pay to fix this…..